1. 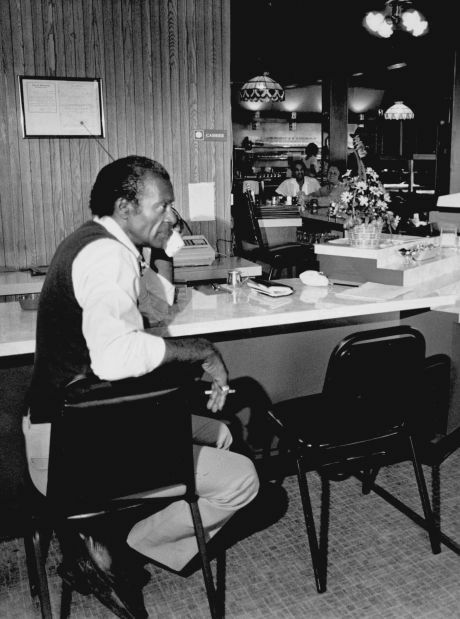 Chuck Berry once opened a restaurant called The Southern Air in Missouri. According to a former waitress, Berry wired the women’s toilets with a video camera and recorded some two hundred unsuspecting patrons using it. Charges were dropped when Berry agreed to compensate the victims of his “potty cam” financially. 2. The melody of The Beach Boys’ classic ‘Surfin’ USA’ is almost identical to the melody of Chuck’s 1958 classic ‘Sweet Little Sixteen’. They sounded so alike in fact that The Beach Boys had to give Berry co-writing credit in order to avoid a lawsuit. A profitable experience in the end for Mr. Berry. 3. Ever the food lover Chuck loves to eat the following: beef, seafood, peaches, home fries, candied yams, chili, grape soda, orange juice, Snickers bars and Dutch apple pie. But despises liver, okra, gumbo, celery, carrots, cooked onions, grapefruit, salami and liquor. It’s best to keep him happy. 4. Starting young, Chuck sang in his St. Louis church’s Baptist choir at age six. 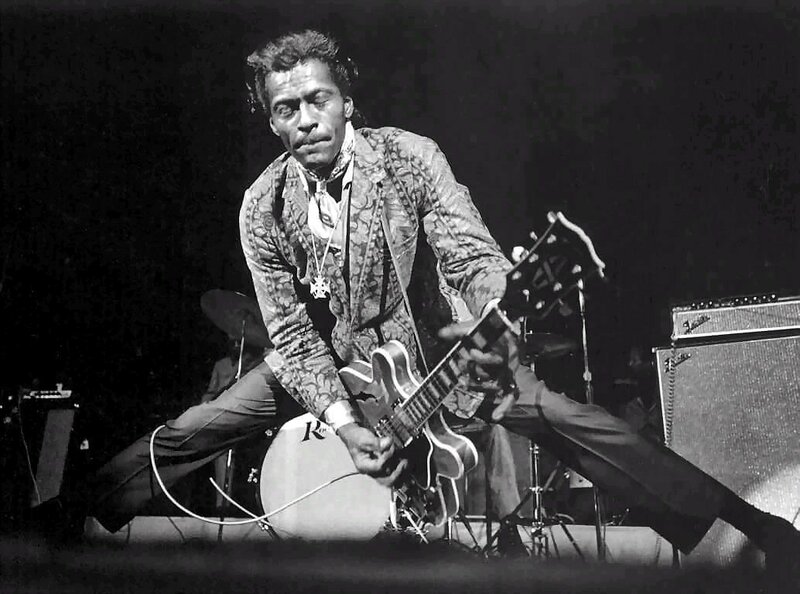 His first notable performance was on his school’s musical stage singing ‘Confessin’ The Blues’ accompanied by his friend, Tommy Stevens, on guitar. Stevens’ impressive guitar licks soon inspired him to learn how to play the instrument himself. 6. Between 1948 and 1955, Berry worked as a janitor at the Fisher Body auto assembly plant, trained to be a hairdresser at the Poro School, freelanced as a photographer, and assisted his father as a carpenter. All the while beginning his career as a musician. Eclectic. 7. 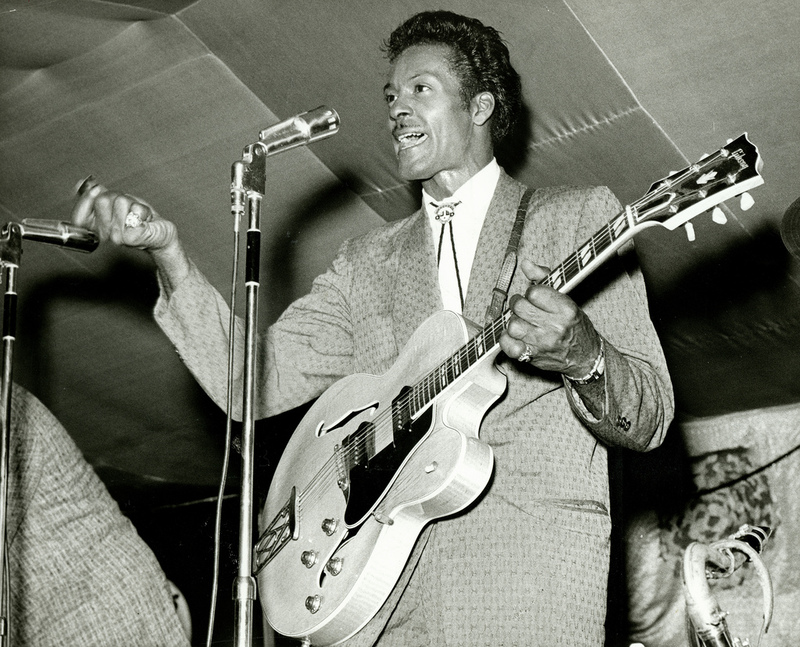 Chuck got the moniker ‘Johnny’ from Johnnie Johnson, a pianist who collaborated with Berry on many songs, including ‘Maybellene’ and ‘Roll Over Beethoven’. Johnson wrote songs on piano, while Berry converted them to guitar and wrote lyrics. Berry joined Johnnie’s group, The Sir John Trio, in 1953 as lead singer. 8. Chuck’s famous ‘duck walk’ dance - as imitated by Marty McFly in the ’80s classic Back To The Future - originated in 1956, when Berry attempted to hide wrinkles in his rayon suit by shaking them out with his now-signature body movements. 9. Due to being burned early on in his career, and occasional run-ins with the IRS, Chuck always gets paid in cash. A notable occasion in Australia 1975 saw Berry caught at Sydney Airport with $50,000 in an attaché case. There remains currency restrictions due to this famous incident. 10. Whenever he performs live Berry picks a venue near an Indian restaurant. While at the Nottingham Royal Concert Hall in the 1990s, the stage door was directly opposite the front door of the Mogul-E-Azam restaurant so he was able to sneak out the stage door and have his meal immediately.